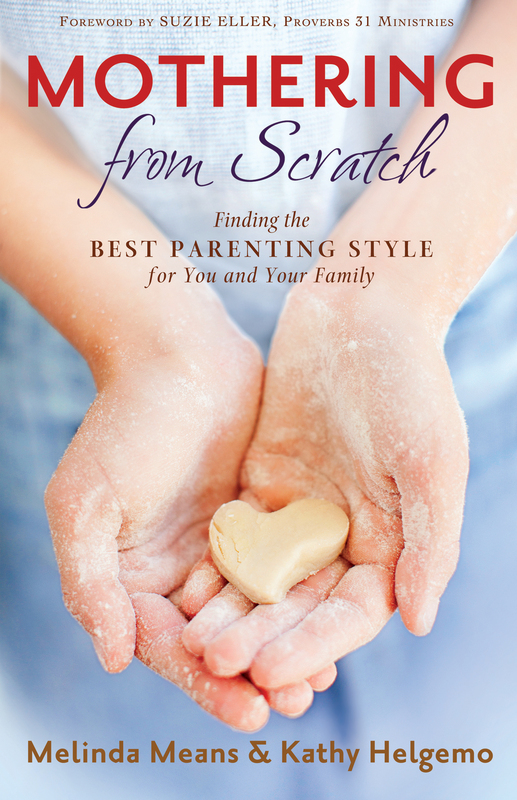 If you want a step-by-step manual on how to raise perfect kids, this isn’t the right book for you. If you want a book that offers encouragement and general Biblical principals to raise your kids in a way that is appropriate for you and their unique personalities, get this book! You may have noticed I always come back from road trips with a long list of book reviews. My husband usually drives and I use those 18 hours to read. This was one of the books I read on my way to Missouri this Christmas and it was worth every mile. 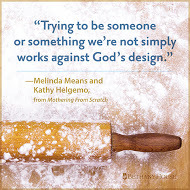 Melinda Means and Kathy Helgemo took their wisdom gained from years of motherhood, mentoring other moms, and blogging at Motheringfromscratch.com to construct a rich, short book full of great advice and relatable stories. When you are reading it, it is exactly like they are sitting at your kitchen table, chatting with you. They are completely transparent and vulnerable sharing those stories that none of us want to talk about. That inherently encourages you to, at least, be transparent with yourself and with God. This book is ideal for group study. It’s good for all moms, but I would most recommend it to first-time moms with young kids, especially those who are isolated like me. As a Catholic blogger, I need to give a small disclaimer. While there is nothing in this book that is anti-Catholic (one of the authors is an adult convert to the Catholic Church), the overall thrust of the book is very evangelical Christian in tone. I received a copy of this book from the authors in exchange for an honest review. 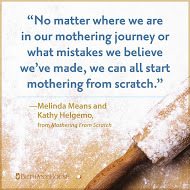 Mothering from Scratch is now available from all major book sellers and (as of noon on 1/27/15) is about to sell out on Amazon. Stay tuned because in a couple weeks I will be writing about this book again and will giving away a free copy! 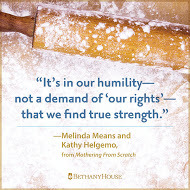 This entry was posted in Motherhood, Reflections, What I'm Studying and tagged book review, Kathy Helgemo, Melinda Means, Mothering from Scratch by bethanieryan. Bookmark the permalink.